If you want to send beautiful emails, you can create your template in Google Docs, then copy it into Gmail. YAMM will keep all the formatting from your template and send it to your recipients. This article will show you how to do so. Or open a new Google Doc, and start drafting your newsletter as you want. info Don't worry if it doesn't look perfect! This is the main advantage of Google Docs vs. HTML code: You can always modify your template as many times as necessary, until you are satisfied with it. Now that you have the backbones of your template, it's time to be creative! Add some colors, images, texts etc. info You can import images from your PC, but for now YAMM doesn't support 'Drawing' from Google Docs. Your template is now ready to be imported in Gmail! To do so, select first all your newsletter content from Google Docs (or press ctrl + A / cmd + A), then copy it (ctrl + C / cmd + C). In your Gmail inbox, compose a new message. On the body content, paste your template (ctrl + V / cmd + V). Select your template in YAMM, and hit the 'Send Emails' button as you would usually do. 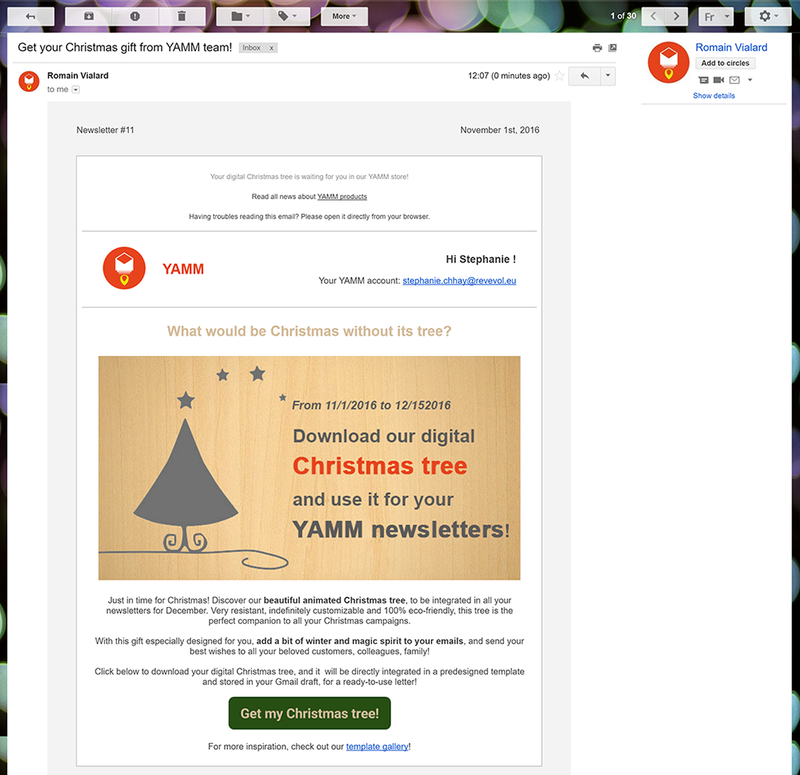 By combining Google Docs with YAMM, you will be able to create pretty newsletter in a few clicks. As long as you are not using complex elements (see 'WARNING' paragraph), YAMM will keep all the formatting in your email sent! warning By following this tutorial, please make sure that you are composing your entire newsletter from A to Z directly in Google Docs. You should not copy/paste any elements from another source (e.g. another web page) to your Docs, or you might get formatting issues when sending it with YAMM. Besides, some elements from Google Docs are for now not supported by YAMM, like the different column displays and the 'Drawing' elements. To make sure that your emails will be correctly displayed, try to keep your template as simple as possible by inserting only basic elements like text, images, tables etc. When I paste my content into a new email message, the fonts and formatting all change! Any advice would be very helpful. I had the same issue. When I paste my content into a new email message, the fonts and formatting all change! Any advice would be very helpful. Make the tables in word and then paste it into gmail. For some reason, gmail is able to hold the tables better when its pasted from word. I had incorporated a GIF and an image and getting them to align was a nightmare.